Changing hair colour is one of the most frequent demands encountered in fashion photography and the time consumed for this process when done practically takes a lot of time. What is the apt alternative for this? How can you spare time and be safe from shedding an excessive amount of dollars? With technology growing each day, wiser ones are those who make optimal utilization of it. Embracing the services of image masking and editing from expert companies can help in eliminating the above-said issues. By using advanced software programs like Photoshop, you don’t have to suffer the discomfort of waiting for your models outside the make-up room, each time when the changing of hair colour is needed. When you rely on the services of professional companies, define your requirements regarding image editing well in advance. However, you can also do this changing hair colour using Photoshop in a perfect and realistic manner by following the below three steps. Masking hair is quite easy with the Quick Selection tool; most photo editing professionals prefer it. Just open the concerned image that has to be edited and then from Tool Palette, select Quick Selection option. You may change the brush sizes as needed. Then use selection brush for selecting the hair and if selection exceeds than needed, CTRL key can be used for reducing the area. After selecting, click the Refine Selection Button. Firstly proceed to Layers Palette. Using the colour Balance adjustment, make an adjustment layer. You need not click on the photo thumbnail. Press CTRL and click simultaneously on the layer mask thumbnail for getting selection on your photo. At the bottom part of layers palette, click the Adjustment layer icon for creating a new adjustment layer. Now, from pop-up menu, you can select the Colour balance. A new adjustment layer- can be seen. By clicking on scales icon thumbnail, colour balance layer can be activated. 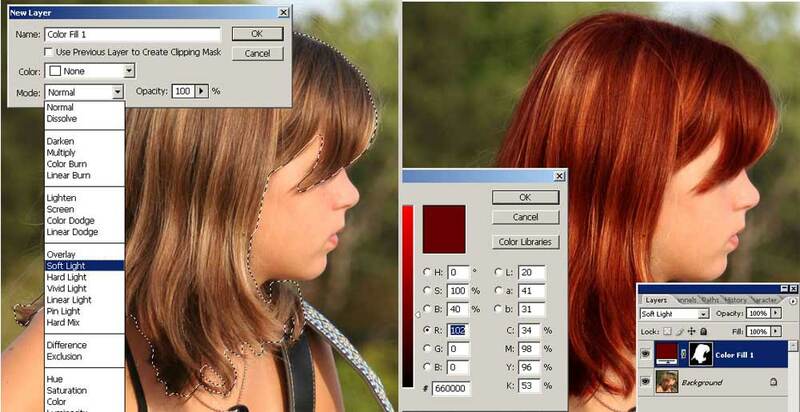 You will be provided with sliders that will enable you to create the hair colour. Now adjustments of fine details can be done and most image masking companies have professionals capable of assuring that the new colours never seem unrealistic. They know to perfectly adjust the modes and opacity to suit the client’s requirements. Metallic looks can be obtained by using HUE blending mode with 75% opacity. For getting bolder looks, you may try SOFT LIGHT or SATURATION. Above three steps if done properly can give you amazing results. Else hire image editing service provider for getting the job done; it would always assure excellence.